High above the colonial market town of Pisac, today the gateway for many tourists to the Sacred Valley, are some of the finest Inca ruins in existence. They might not be in a location quite as beautiful as Machu Picchu, or on a scale quite as monumental as Sacsayhuamán, but the stonework here is some of the best you will ever see in Peru or elsewhere. Spanning about a kilometre or two along a mountain ridge at 3250 metres above sea level, its sections are separated by natural terrain but accessible by paths and tunnels. As you march from one urban area to another along these paths, with steep drops all the way, you can’t help but be awestruck by it all. It couldn’t have been easy to build. High up on a ridge above the valley, sections of the city sit occupying the relatively flat areas with steps, paths and even tunnels connecting them with one another. Where there are no steep drops into the valley below are row upon row of huge descending andenes – terraced farms so large that they add a significant amount to the total arable land in the valley. There are two ways to approach these ruins. The first way is head on and straight up (as in almost vertical) from today’s Pisac which takes you up the Acchapata terraces to a fork in the path that leads you up further with the Intihuanta ceremonial centre as the main destination or along more terraces to the ruins of the Pisaqa urban zone. 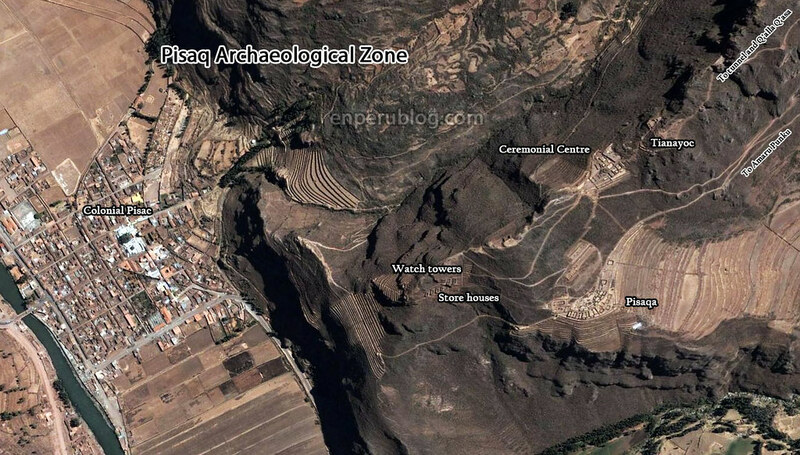 From either of these you visit the other before walking along further away from Pisac until you reach the military district of Q’alla Q’asa, the cemetery of T’antana Marka, more terraces, the Inca baths and the final urban area of Qantus Raccay. You must then double back and do it all again to reach home. The second way costs a little money and feels like cheating but is in fact not only the most efficient way in terms of time and energy, but is also the best way to see the ruins. 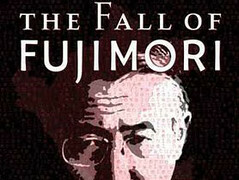 I’ve done both and recommend this one. You take a taxi to the paradero alto, which is just behind the last and furtherst urban area called Qantus Raccay. You then do the hike through the ruins from the rough military and agricultural areas, through the guard posts and tunnel to views over the finer district of Pisaqa and the ceremonial centre, after which you’ve visited, you descend into the colonial town of Pisaq. Tell your driver you will be walking down. Serving a number of purposes, the city counts with agricultural areas, military areas, the largest known Inca cemetery, hundreds of huge terraced farms, urban areas of the wealthy and the not so wealthy, Inca baths, complex water engineering and irrigation, cliff-hugging storage buildings, defensive walls, guarded gates and a stunning religious and ceremonial area with some of the finest Inca brick work with one of the few partially surviving Intihuantas. Importantly, the ruins at Pisac are an excellent opportunity to see everything of typical Inca engineering, culture and religion – from different styles of construction, to the Inca obsession with building on high ridges and peaks, to their ceremonial centres and sun and water cults. Few realise that the piling up of simple field stone as a base, and then the use of adobe to raise the height of the walls, is the most common of Inca construction methods. This is how most people under Inca rule lived. The perfectly fitting bricks that capture people’s attention were solely used for important ceremonial buildings or the Inca elite. The elite outside of places like Cusco lived in structures like those in Pisaqa, which we will see in a moment. Around the corner are the fountains of the Inca baths, curious for their elegance. They perhaps served a religious purpose, perhaps for pilgrims? Archaeologists call them the “purification baths” under this assumption. On the other side of the gully at the Inca baths, visible also from the military zone just a little further along, is a vast cemetery of tombs cut into the steep cliff face. This was one of the largest cemeteries in the Inca world – more than 1000 tombs in various states of destruction can be found here. There are roughly 30 buildings here – living quarters in what is thought to be the residential area for those on guard at Pisaq. As well as being a ceremonial centre, administrative centre, cemetery, agricultural centre and urban area, Pisaq is thought to also have been garrisoned. 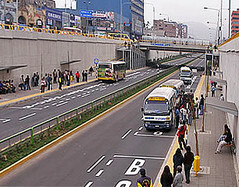 It has an excellent defensive position and is located at a strategic location in the valley and is just 33km from Cusco. Here the buildings are built rough field stone too, but a lot more engineering when into their construction. Hanging on to the side of the cliff, streets and steps are one and the same. Running water was brought here and residents also have their own small terraces nearby. From the military area of Q’alla Q’asa a path runs along the upper part of the ridge directly to the ceremonial area, a path only broken by a 10 metre tunnel cut through a troublesome outcrop. The tunnel is very thin and would have served as an excellent defence. If heading from the urban area of Qantus Raccay, from the bottom of its terraced farms, to either the ceremonial centre or to the elite residential area of Pisaqa you first need to pass through the control gates of Amaru Punku. Punku is Quechua for portal while Amaru is Quechua for snake, a holy creature. 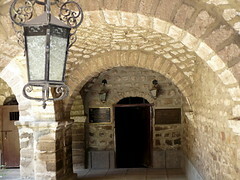 Hinges are still visible, cut out of stone. By their size, you can tell the doors were thick and heavy. If coming from the tunnel you will have to pass through what is perhaps an administration area with an interesting feature – a chair cut out of a single rock. Just above the ceremonial area, here you have views over the ceremonial area and the Intihuatana. 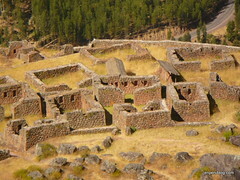 The religious and ceremonial area of Pisac is considered one of the finest examples of Inca architecture. The stone work here is considered by many to be technically superior to most other Inca urban centres. A lot of human labour went into cutting these blocks of pink granite so perfectly and fitting them to build exquisite temples. In the centre is the Intihuatana, an important religious or astronomical tool of the Incas. Its precise use is unknown, but the word means “place where the sun is tied”, a hitching post of the sun. Its name suggests a relevance to the winter solstice and the festival of Inti Raymi. The carved rock was damaged by the Spanish who wanted to wipe out the indigenous belief system and the little of it that remained was damaged by local vandals. This means that visitors are no longer allowed to get up close. As I mentioned, you are able to see a little of everything “Inca” at Pisac. 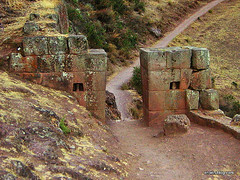 One Inca engineering technique on display, other than the perfectly cut bricks, the inclined earthquake-proof walls and water channels, is the will and ability to cut and shape natural rock formations into alters or as bases for walls. The Incas were always careful to use the surrounding environment to their advantage. Running water is available throughout the city and the ceremonial centre is no different. Water arrives to a beautiful fountain would have had some religious significance based on its perfection. 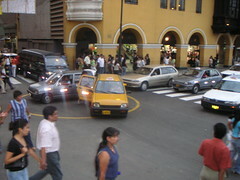 The urban area from which the ruins as a whole get there name, and from which the colonial town got its name is Pisaqa, the main residential zone also called the “old town”. Located directly below the ceremonial area on a large semi-circular ledge (an area clearly visible from the side soon after emerging from the tunnel) are a set of another 30 or so buildings with finer brick work than the other residential areas. 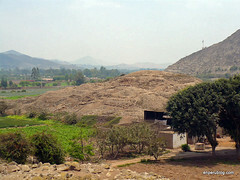 There are two sets of andenes or terraced farms. To the north of the semi-circular Pisaqa are a large number of that extend a huge distance all the way down to the valley floor. 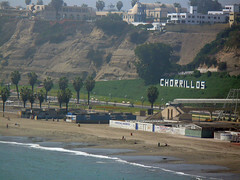 On the south side there are also a number of terraces, but these end when they reach too steep a drop. The town and these terraces supposedly have the form of an Andean Patridge – P’isaqa in Quechua and the origin of the name Pisac. Keeping mostly in the shade and built with adobe, these were used to store food. In positions overlooking the valley, these watch towers stand in the way of the path up from where colonial Pisac is today located, and above the path to Pisaqa. Bellow the towers are also formidable terraces – used for farming, but could also provide a lot of protection. From these towers, walking down towards the town are yet more very high quality andenes. These extend down to the valley floor and the river. In fact, the modern Pisac is actually built on the widest and final terrace.